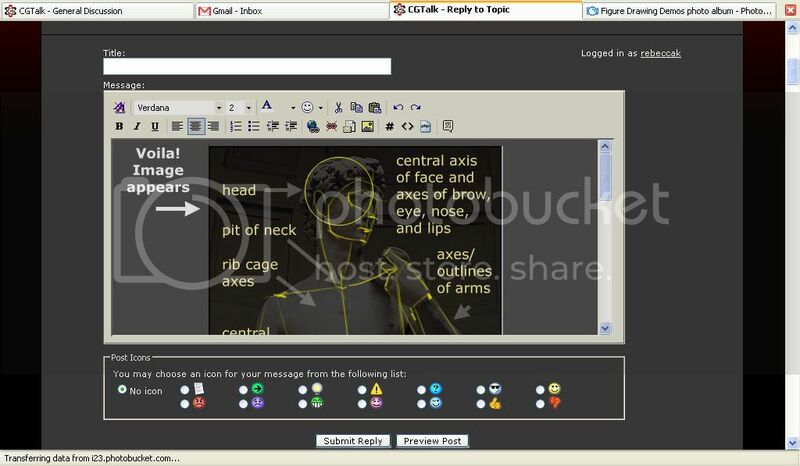 For those of you who are new to CGTalk, or would like to know how to host your images and post them online, I’ve put together a walk-thru of using www.photobucket.com, an image hosting site which is free (up to a certain capacity) for its users. 1. 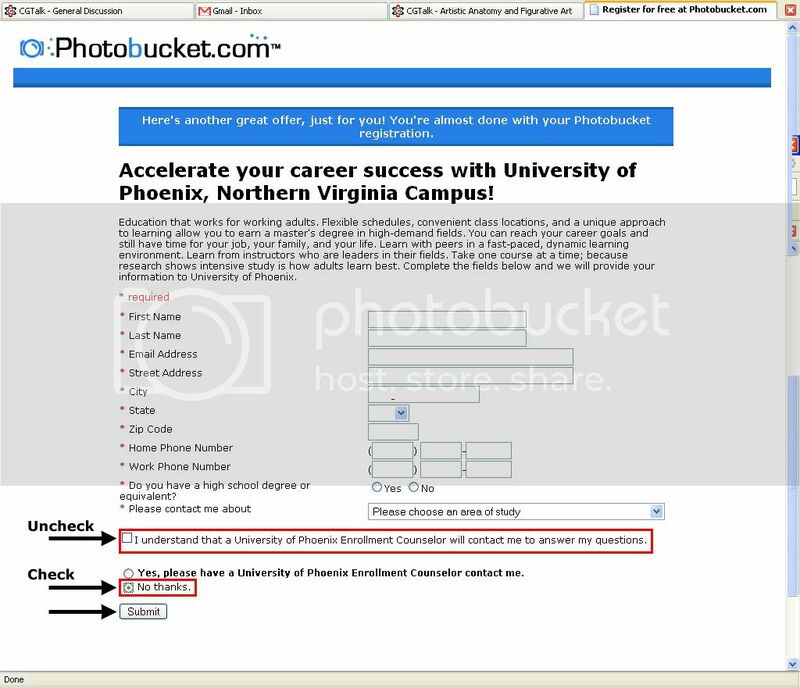 Go to [www.photobucket.com](http://www.photobucket.com). Click on the "Sign up now" button. 2. Fill in the appropriate information in the form which appears. Then click "Register". Fill in the appropriate information on this screen. UN-Check the first Ad checkbox. Click “No thanks” to the second Ad. Click Submit. [left]5. 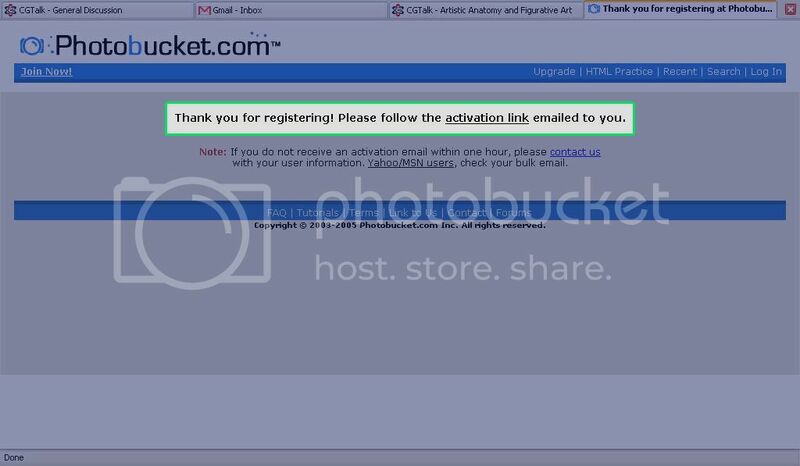 Check your email for the Photobucket Registration notification. Follow the link to activate your account. [left]8. 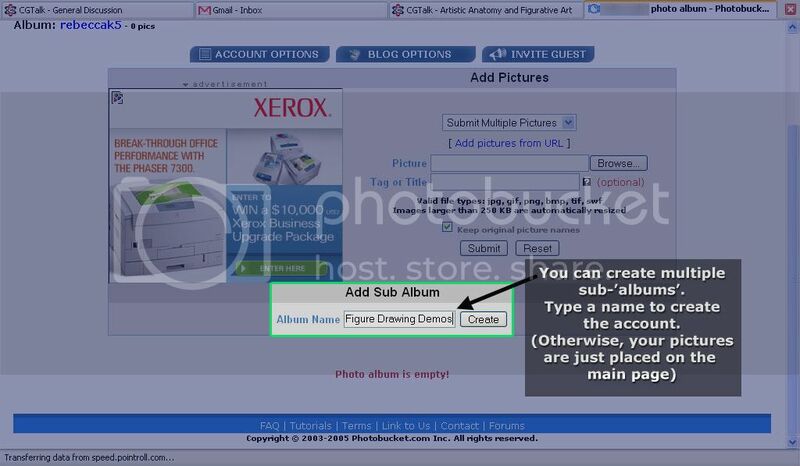 You can add sub-“albums” to your www.photobucket.com account simply by typing your album name in the dialog box under “Add Sub Album”. 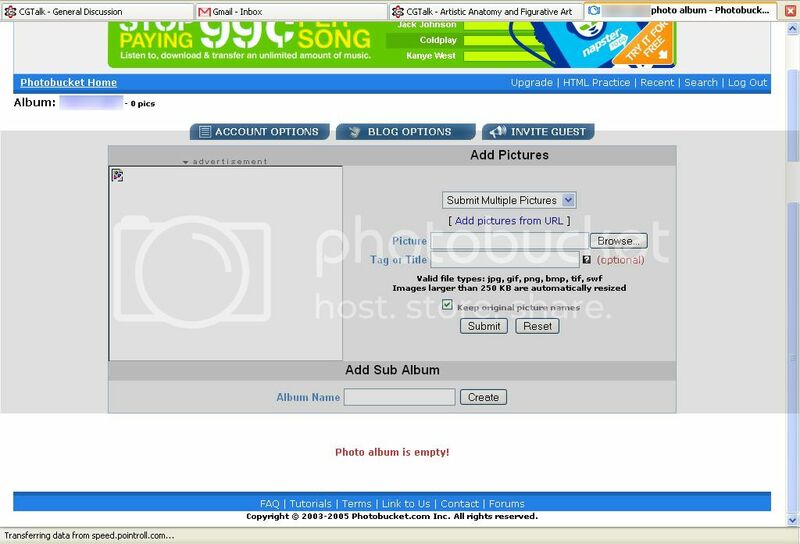 If you don’t create a sub album, your pictures just remain on a generic main page. 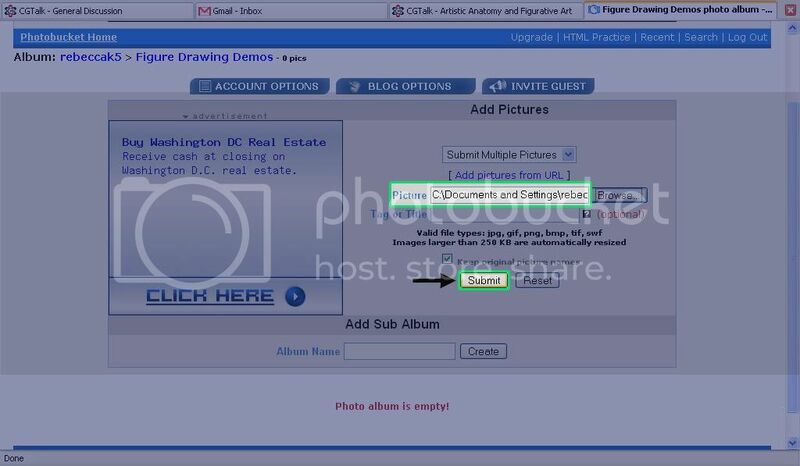 It is useful to use albums to keep photo files in tidy categories, for example: “Orthographic Drawings”, etc. 9. You must CLICK on the SUB-ALBUM NAME to actually put pictures into the album once you’ve created it. Otherwise, you will just be uploading pictures to your generic main page. 10. Once in your sub-album, you can browse to images stored on your local hard drive. Images will be uploaded to www.photobucket.com and assigned a URL. Therefore, once you have uploaded your images, you need not keep your uploaded images in the same place on your local hard drive, as there is no direct link to them. [left]11. 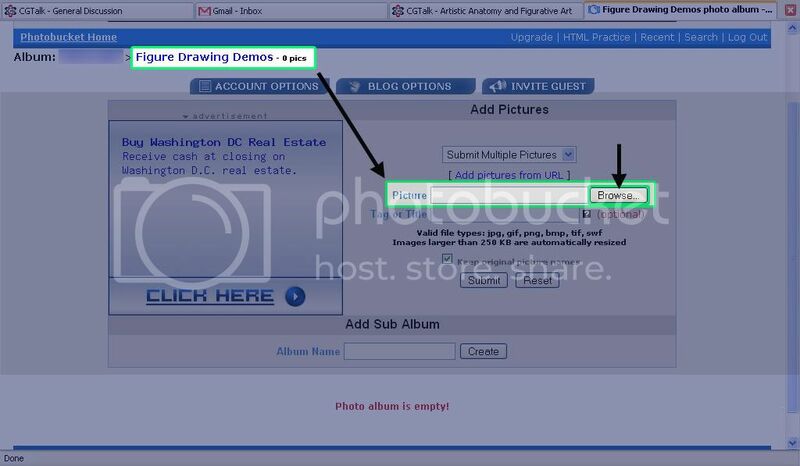 Once you have browsed to and selected your image file on your local hard drive, click submit. 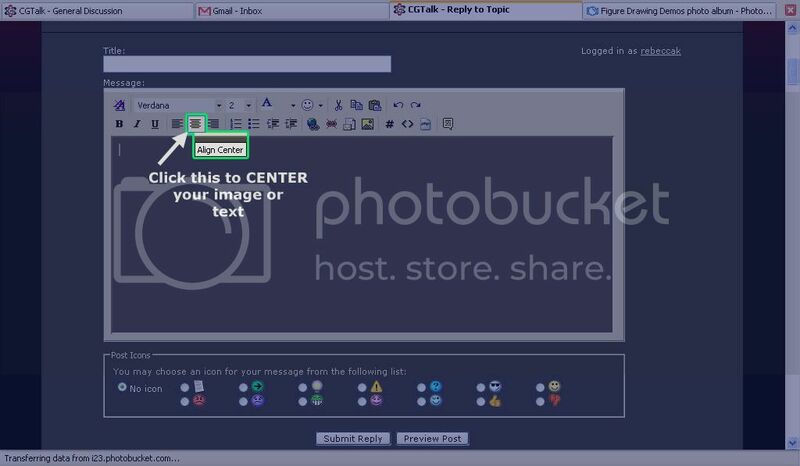 The image is uploaded from your local hard drive to the remote server of www.photobucket.com and assigned a unique URL. 12. 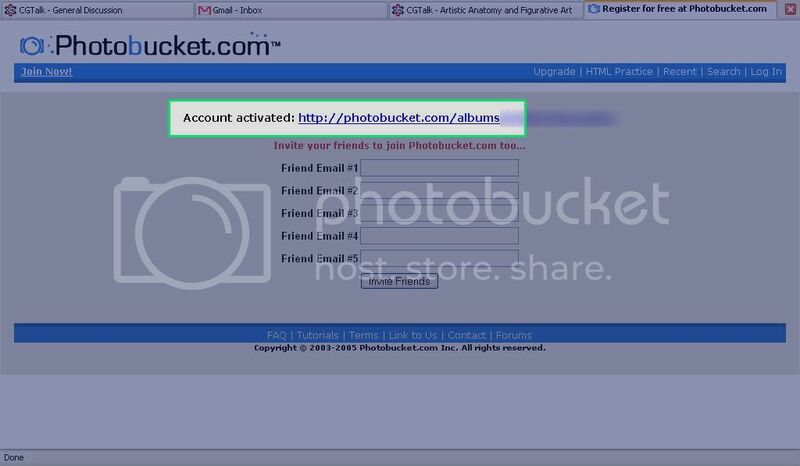 Here you can see that your image has been uploaded and assigned a unique URL by www.photobucket.com. 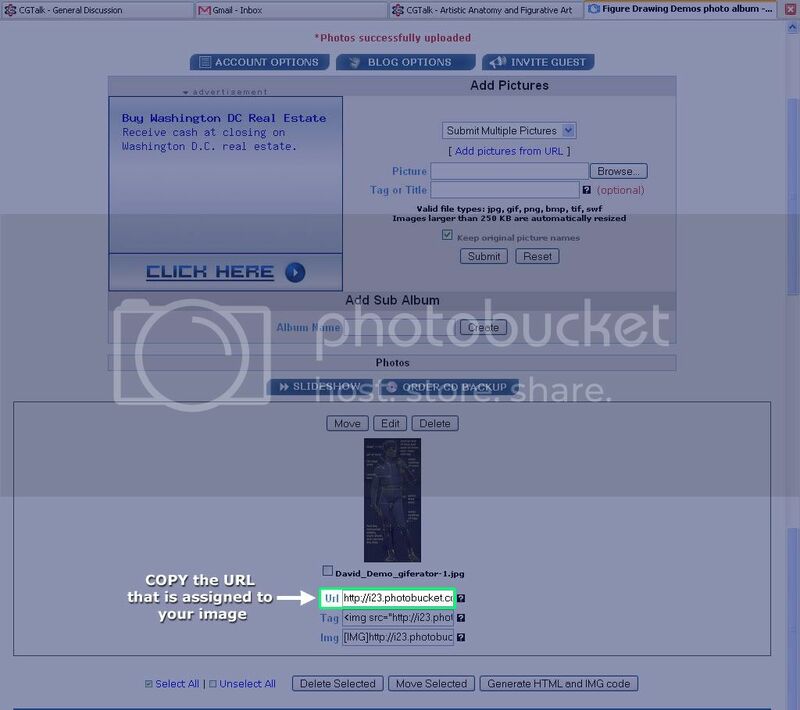 COPY the URL (Ctrl +C) before you go back to CGTalk.com to post your image/s. [center] [left]13. Now back at CGTalk.com on whichever thread you wish to reply to, click the “Post Reply” button that appears at the bottom of every individual’s post. 14. Click the “Align Center” icon if you wish your image/s or text to appear centered in the page. Hint: you may want to type text first, so keep that on “Align Left” and then click the “Align Center” icon to center your images. 15. Click the “Insert Image” icon to insert your image. 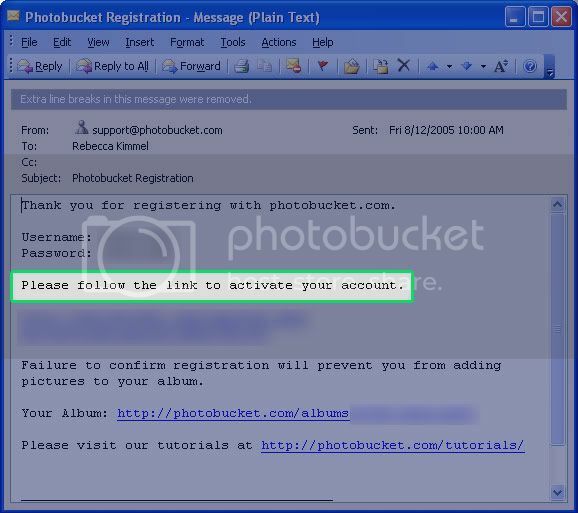 A dialog box will appear into which you PASTE (Ctrl + V) the URL of the image you have uploaded to www.photobucket.com. [left]16. 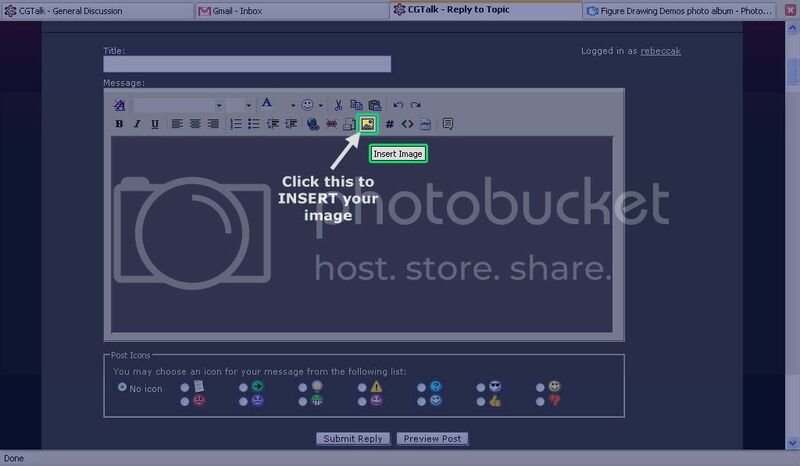 PASTE the URL into the dialog box that appears after you have clicked the “Insert Image” icon. Click “Ok”. (Note: you can only insert one image at a time). 17. VOILA!! 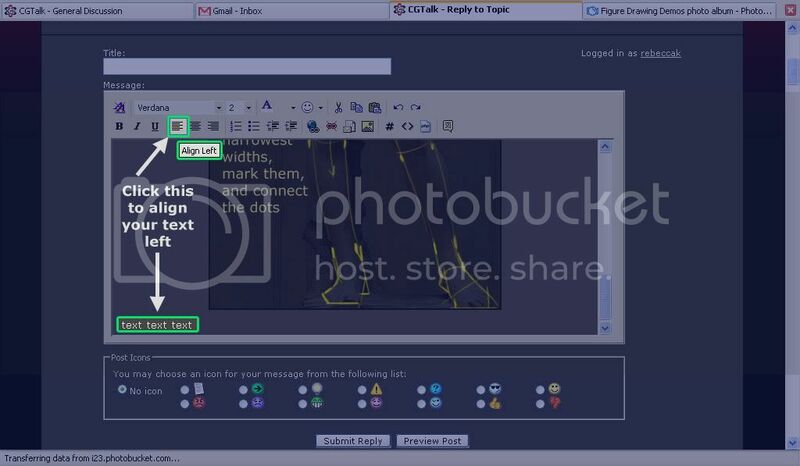 Your image appears in the “Post Reply” editor. Note: You must type some text in order to post an image. (It may be text as simple as “Here it is”). Once you are happy with the placement of your image and text, click “Submit Reply”. Thanks, Squib! I see this question pop up all the time. Prior to Feb 2005, I’d never posted online before, so thanks to Roberto for holding my hand and walking me thru the same process. I’m a bit technically retarded sometimes. I’m hoping this will encourage the lurkers to join CGTalk and post their work. Psst. This might be more useful in a slightly more general-purpose section, like the parent forum (2D WIP). And how’s it going, Rebecca? Doing great, am really happy with how things are shaping up on the forum! Hope you are enjoying yourself in Sing-a-pore! I was wondering how to post images for a very long time!! No problem ~ glad to be of help! Hey there, I just posted to your new thread!